Saddle Horse Report is sad to report that well-known blacksmith, David Walker, passed away at home this morning of a massive heart attack. He was 55. Walker was the husband of Kathy-Capsuto Walker and together they owned Escalade Stables in Shelbyville, Ky.
A blacksmith for some 25 years, Walker has had long associations with such trainers as Chris Reiser, Armon Effinger, Mike Barlow, Wendy Winstead, Kathy Boggs, and Joe T. Smith. 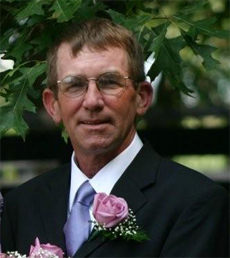 Services will be held at Webb Funeral Home, 1144 West Main St., Shelbyville, KY 40065. Visitation will be this Wednesday from 5:00 p.m. until 8:00 p.m and Thursday from 1:00 p.m. until 4:00 p.m. The funeral will be held Thursday at 4:00. A tribute to Walker will run in the February 14 issue of Saddle Horse Report.